Last week I was fortunate enough to remotely attend the 3-day Annual State/Tribal/Federal Coordination Meeting organized by the Association of State Wetland Managers (ASWM). 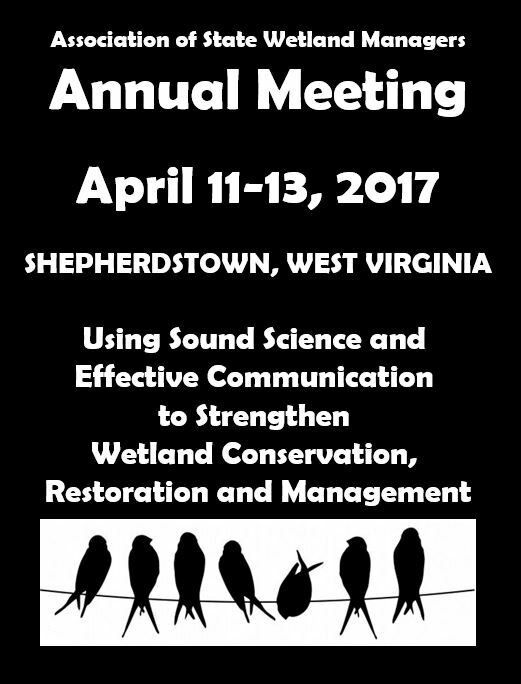 The meeting was titled Using Sound Science and Effective Communication to Strengthen Wetland conservation, Restoration and Management, and occurred at the National Conservation Training Center, Shepherdstown, West Virginia. This was my second year to observe this workshop and, like last year, I found it very informative as to what is occurring on a national level with our waters of the U.S.
Any information presented here does NOT represent any official governmental position…. Any errors in interpretation of the original presenter are ALL MINE, and these observations are made to generally reflect the crux of what went on at this meeting. 2. The Presidential Executive Order on Restoring the Rule of Law, Federalism, and Economic Growth by Reviewing the "Waters of the United States" Rule (released on February 28, 2017) was discussed. President Trump is requesting that “the heads of all executive departments and agencies”…“shall rescind or revise, or publish for notice and comment proposed rules rescinding or revising,…” [the Clean Water Rule]. It is hard to predict what may come out of this, but it appears something will change. [Officially published as Executive Order 13778 with additional information relative to this EO found in Executive Order 13777, Update 6-13-17]. 3. It was stressed that MESSAGING and COMMUNICATION were important to EPA’s programs by Mindy Eisenberg, acting Division Director & Associate Director of the Drinking Water Office. 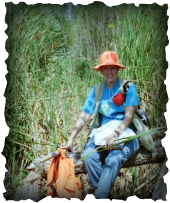 She shared that several stories relating successful wetland programs are posted on the EPA’s Excellence in Wetlands Programs webpage. There you will find 14 stories of how states and tribes are working to enhance and improve their natural resources, specifically wetlands, in all 10 regions of the EPA. Currently there are only two states (Michigan and New Jersey) that implement the Section 404 permit program. The most onerous barriers of state assumption are state staffing and funding to implement the program. Another barrier to state assumption is the lack of clarity regarding the scope of waters of the U.S. that may be assumed by a state. 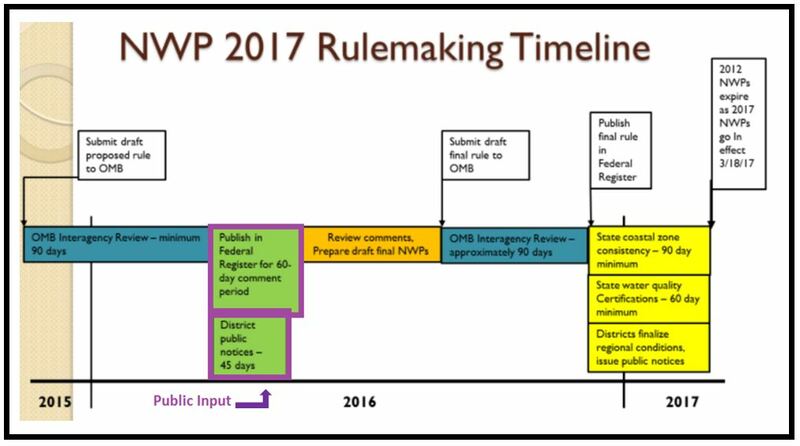 In a letter (dated March 1, 2017) to Scott Pruitt from ASWM relaying 6 priorities for State Wetland Programs, they encouraged the new Administration to work towards helping ASWM and other interested parties to remove the current barriers to state assumption of the Clean Water Act Section 404 Permit Program. ​6. Another executive order (released January 30, 2017) discussed at the meeting was the Presidential Executive Order on Reducing Regulation and Controlling Regulatory Costs which orders that “…it is important that for every one new regulation issued, at least two prior regulations be identified for elimination, …” This executive order, commonly referred to as the 2-for-1 (a familiar term to avid shoppers), has a goal “…to manage the costs associated with the governmental imposition of private expenditures required to comply with Federal regulations.” The Office of Management and Budget is tasked with this responsibility and according to recently released guidance, they will emphasize maximizing benefits versus compliance costs in their review process. [Officially published as Executive Order 13771, Update 6-13-17]. 7. Stephen Samuels (retired Department of Justice) presented a clear and succinct overview of the historical development of our current wetland regulations, along with the current status of the Clean Water Rule litigation [more on the current CWR litigation in a future posting in The Clean Water Rule section of the Water Regulations 101 blog]. His graphic explaining the stance (acceptance or not or unclarified by court decisions) of the 2006 Rapanos fractured decision (4:1:4) for each of the 13 U.S. Courts of Appeal was very helpful in illustrating the complicated and confusing state of our current "waters of the U.S." definition.​ And this "state of the union" on the definition of waters of the U.S. is 11 years after the Rapanos Supreme Court decision! 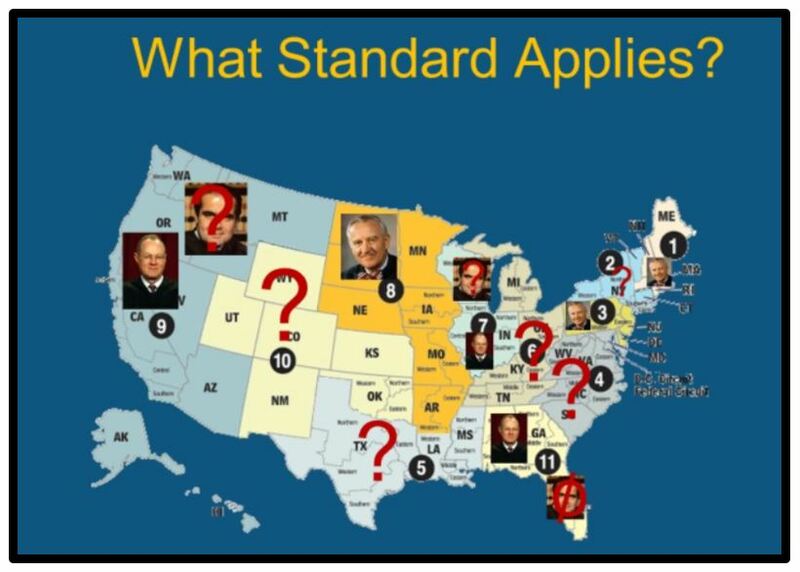 Another of Stephen Samuels' summary slides illustrating current stance of the 13 Courts of Appeals in accepting the 2006 Supreme Court Rapanos Decision. Where do you live? Where does your courts of appeals stand on this issue? 8. Two states are pulling together multiple layers of natural resource information into a very user-friendly manner that can be easily accessed by anyone. The Maryland State Highway Administration (with many other partners) has developed the Watershed Resources Registry (WRR), and the Virginia Department of Environmental Quality (along with the Virginia Institute of Marine Science (VIMS)) has developed a Wetland Condition Assessment Tool (WetCAT). Both can be used by anyone looking for natural resource information about a specific site within those respective states. The Maryland WRR can be used to produce an Alternative Development Report where you can move a proposed line/development footprint and quantify NEPA report impacts for each alternative. ​9. One common thread heard throughout the conference was the idea of state wetland managers BUILDING INTEGRATION between wetland management (protection/restoration) with other state efforts or programs like wildlife management, stormwater (319) programs, streams and surface water management, state energy or transportation projects, and floodplain management. 10. The last day of the conference provided training for attendees with communications planning examples and specific tools for bringing together science, policy and people. ASWM has been working on a Communication Projects Report which includes 10 Case Studies from around the country of successful programs making a difference. This report will be available on the ASWM website soon. Again, this is only a few of my notes from the many presentations, and much more can be gleaned from the recordings of this meeting. 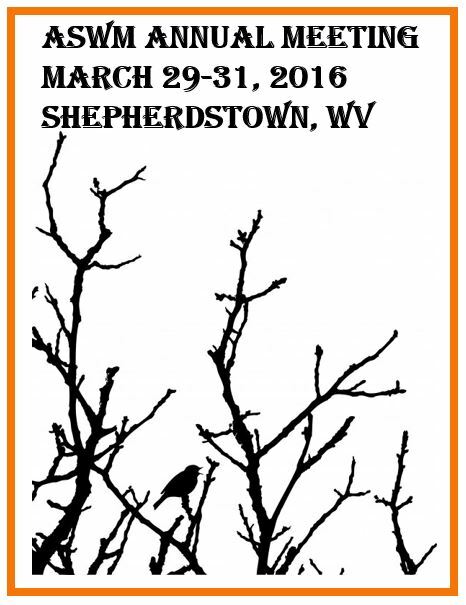 I encourage you to visit the ASWM website to learn more. Slide from ASWM's Brenda Zollitsch 4-13-17 presentation about The Role of Communications in Protecting Wetlands. A list of the 10 case studies to be released soon in ASWM's Communication Projects Report with a searchable matrix.